Photo by Sam Thiel Members of the Wabasso baseball team pose with the Section 3A championship trophy after the Rabbits defeated Kerkhoven-Murdock-Sunburg 5-0 on Thursday. MILROY – The last time the Wabasso and Kerkhoven-Murdock-Sunburg baseball teams met, the Rabbits shut out the Saints 5-0. 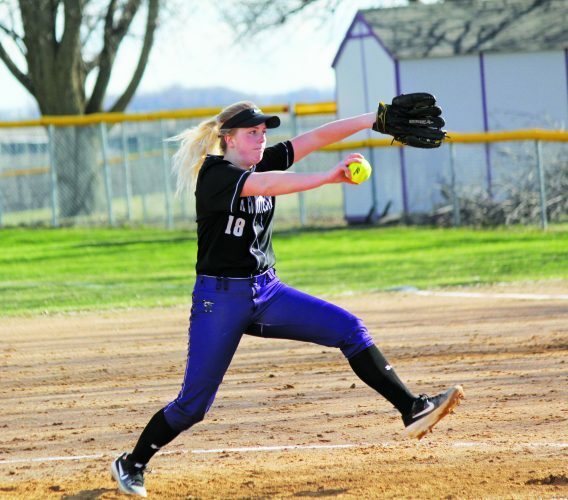 This time, the Rabbits and Saints would find themselves battling again in the Section 3A Championship on Thursday, only with a section title and a trip to the state tournament on the line. 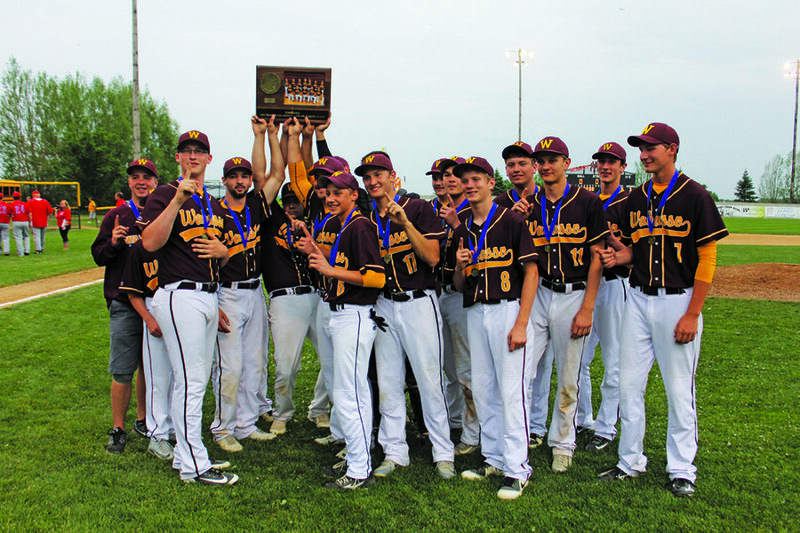 Nick Altermatt and the Rabbits took a similar approach to that Saturday matchup, and finished with a similar result, with Wabasso blanking KMS again by a score of 5-0 to stamp its ticket to the Class A Tournament, its fourth overall trip and first in 10 years. Olson said they debated on whether to start Altermatt or save him for a possible second game, but was pleased with his outing and was proud of his team’s effort. Altermatt finished with a complete game, going all seven innings while allowing no runs on three hits while striking out 10. After a scoreless first, the Rabbits got things started in the bottom half of the second. Lance Wagner would reach on an error before stealing second to put a runner in scoring position with one out. After a strikeout put Wabasso down to its final out of the frame, Will Carlson stepped up and reached on an error to plate the game’s first run, giving the Rabbits an early 1-0 lead. Neither team would find scoring in the next inning before Wabasso broke through on offense in the bottom half of the fourth. After a flyout started things off, Eis reached on an infield single before advancing on a wild pitch. Another strikeout put the Rabbits down to their final out of the inning once again. But just as they did earlier in the game, Wabasso used timely hitting to find its scoring. Cooper Taylor connected on an RBI single before Tony Franta found his way aboard on single of his own. Altermatt kept the offense going with a base hit, pushing Wabasso’s lead to 3-0 before Jacob Plaetz was intentionally walked to load the bases. Ty Kemp then came up and reached on an error to plate another run and make it 4-0 after four innings of play. The Rabbits continued their offense in the next frame, as Wagner led off with a single before Eis laid down a bunt down the first base line to put runners on the corners with no outs. Carlson would then bring in another run on a sacrifice fly to bring it to 5-0. After a scoreless sixth, the Saints had an opportunity to get on the board in the top of the seventh, getting back-to-back singles to start the frame. But Altermatt got a key flyout before striking out the next batter to put the Rabbits one out away from a state berth. After a wild pitch advanced the KMS baserunners into scoring position, and a lengthy at-bat with the ensuing Saints hitter, Altermatt got the final out looking on a strikeout to cement the shutout and punch Wabasso’s ticket to the state tournament. Altermatt said they’re getting into a groove as a team and it’ll be fun to see what they can do going into the state tournament. Cooper Taylor led the way for the Rabbits with a pair of hits and an RBI while Kemp and Altermatt each had a hit and an RBI and Carlson added two RBI. Olson said they were able to create some quality at-bats and get some timely hits from guys all over the lineup as a result. Wabasso (14-4) pushes its win streak to nine as it heads to the Class A Tournament, which will begin in Chaska next Thursday. Olson said their biggest takeaway is to continue their strong play on both sides of the field and give themselves the right opportunities. The last time the Rabbits made it to state, they came away with the Class A title. Altermatt said they’re hoping to have a similar experience. 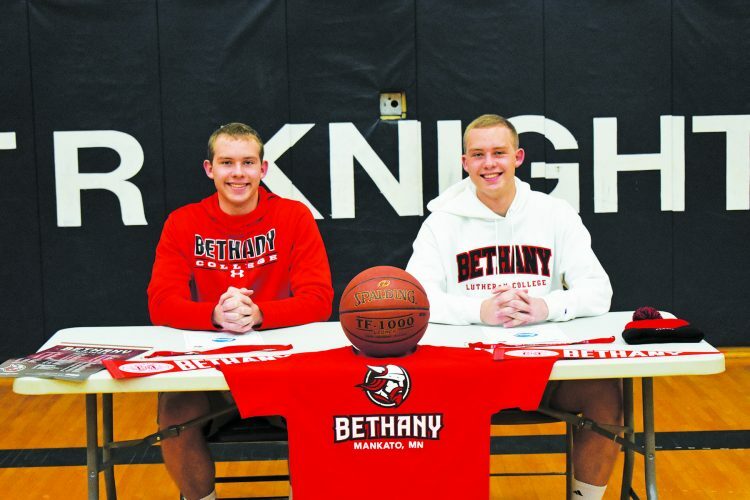 “Coach Olson said we have almost the exact same team as the 2008 team, so hopefully we can do the same thing they did and bring home some hardware,” Altermatt said. Hitting: Wabasso (Cooper Taylor 2 H, RBI; Franta 2 H; Eis 2 H; Carlson 2 RBI; Wagner 1 H; Plaetz 1 H; Kemp 1 H, RBI; Altermatt 1 H, RBI). Pitching (IP-R-ER-H-BB-SO): Wabasso (Altermatt 7-0-0-3-2-10).